Here are some of the events we presented in our social channels from July to September 2017. 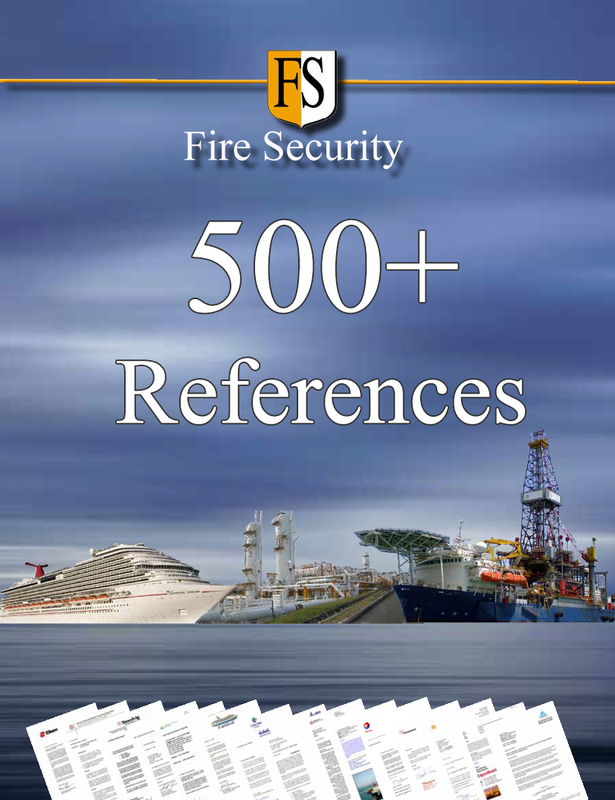 Fire Security conducts fire protection and cable repair projects worldwide in many industries, and in September we launched our updated Brojure listing more than 500 references. In August 2017 our Facebook page reached 3000 followers. OIL & GAS ASIA EXHIBITION Malaysia. 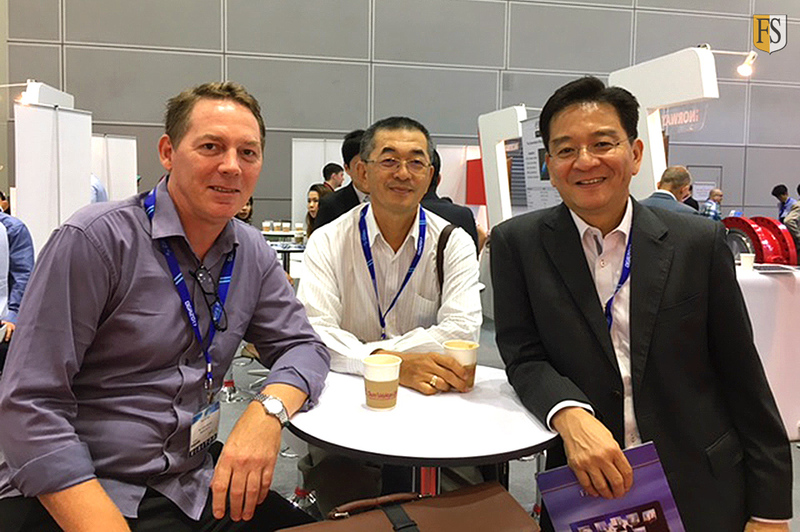 JULY 13: Kuala Lumpur – Paal Mathisen is at the Norwegian Pavillion together with Mr. Pui Thai Chong and Mr. Tuan Hai Ewe (right) who is Malaysia advisor for NORWEP – Norwegian Energy Partners – where Fire Security is a member. FS visiting Shell Petroleum in Brunei. 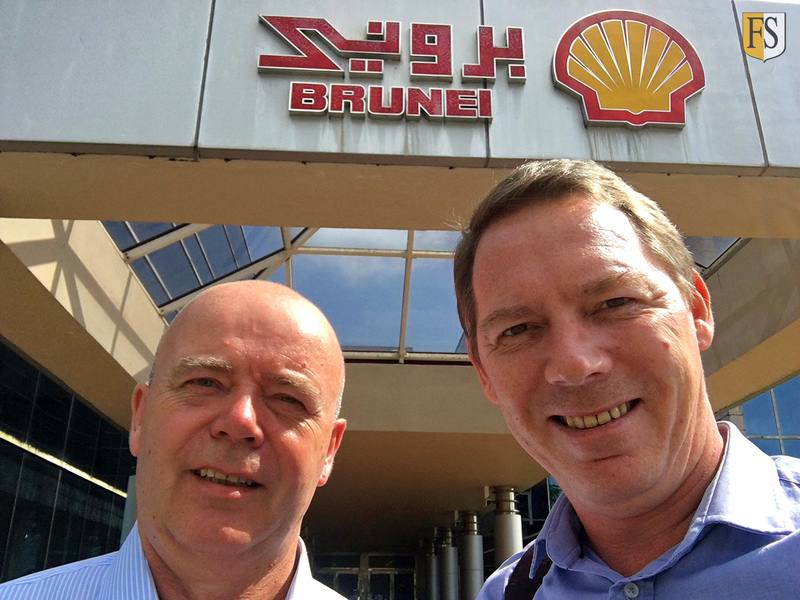 JULY 25: Leif Tveitnes and Paal Mathisen in BRUNEI – We had a busy day meeting with several divisions in Brunei Shell Petroleum today. New projects in the Middle East. 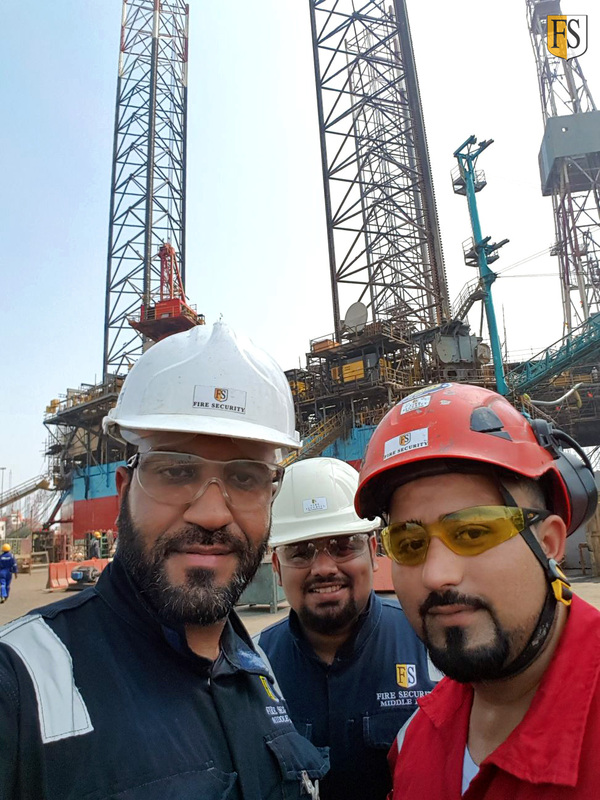 AUGUST 3: FS MIDDLE EAST is contracted to upgrade all Cantilever cables from Rig deck up to the Drill Floor for Egyptian Drilling Company Rig Senusret. 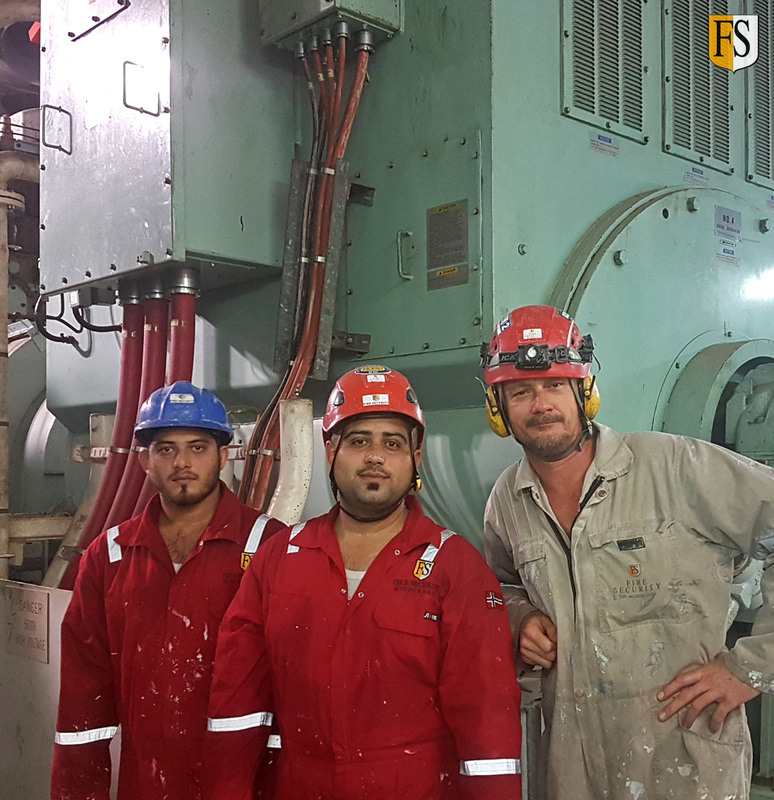 To further develop our business in the Middle East, Mohamed Alawi is given the job to explore new projects in Bahrain and Saudi Arabia. Great business development in China. 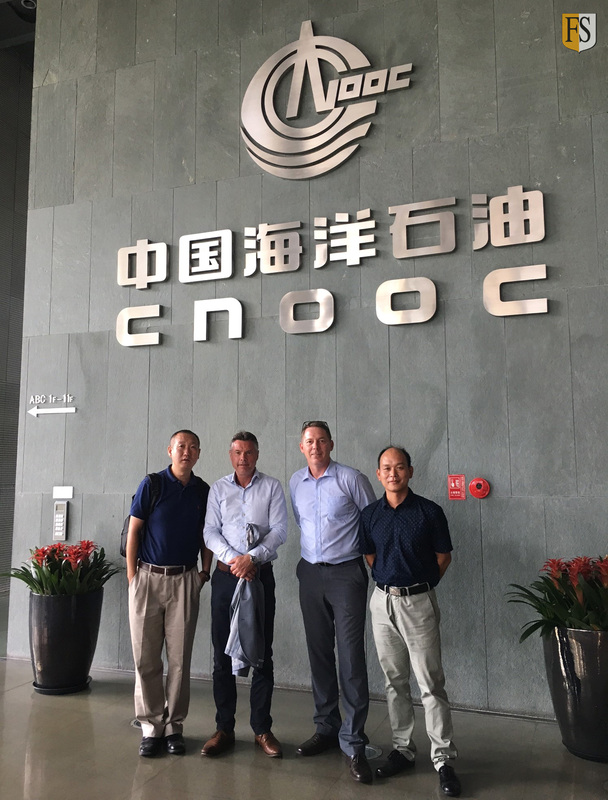 AUGUST 30: Ole Tom Eidjord and Paal Mathisen travelled to Beijing to meet with CNOOC – China National Offshore Oil Corporation – at their global headquarter. Norwep’s China advisor Jian Guo (left) was of great help to set up our meeting with Mr. Wang Jianfeng, CNOOC General Manager of Development. Chen Tao (right) is our local agent. Cable Fire Protection in the Middle East. AUGUST 14: CABLE FIRE PROTECTION – Fire Security Middle East is the only regional turnkey applicator to maintain a fully stocked regional distribution centre. FSME has offices in the UAE, Oman, Bahrain, Qatar, Saudi Arabia and Kuwait. JULY 23: Paal in AUSTRALIA last week – I have been visiting Perth and Melbourne. 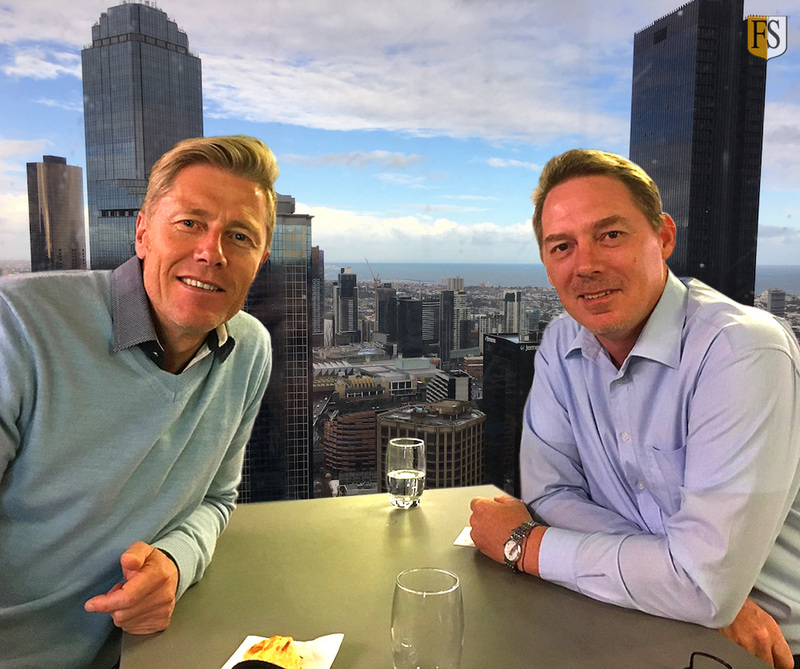 Norwep’s advisor for Australia Tore Moe has been very helpful and we have met with WorleyParsons, Wood Group and Woodside. Cable fireproofing at Kværner shipyard Norway. 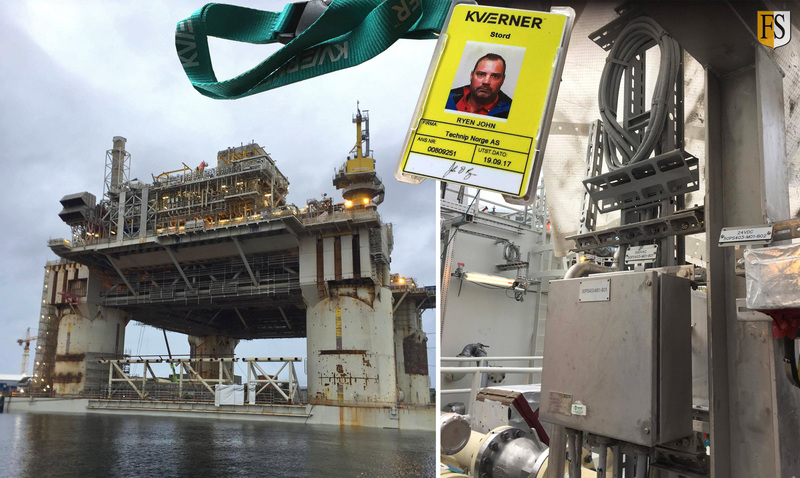 SEPTEMBER 20: Johnny Ryen completed a project for Technip at Kværner shipyard located in Stord Norway. Seawater pump cables needed protection to be certified. Fire protecting state assets in Indonesia. SEPTEMBER 22: Fire Security Asia-Pacific team fire protecting state assets in INDONESIA. From right: Ari, Supri, Wahyu, Paal and Albi – our agent in Surabaya. Fire protecting cables on-board Costa Favolosa. 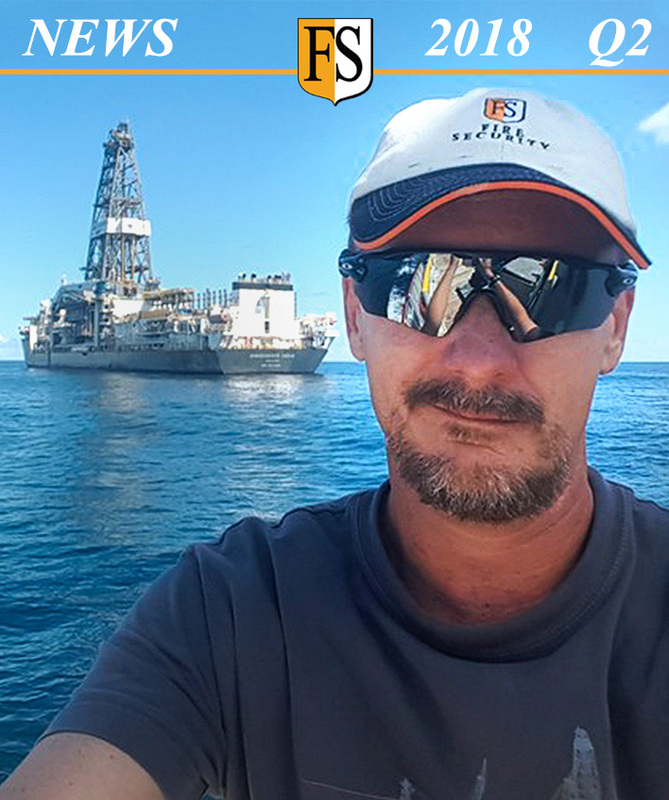 SEPTEMBER 11: Today Johnny is finishing cable protection work on-board Costa Favolosa. 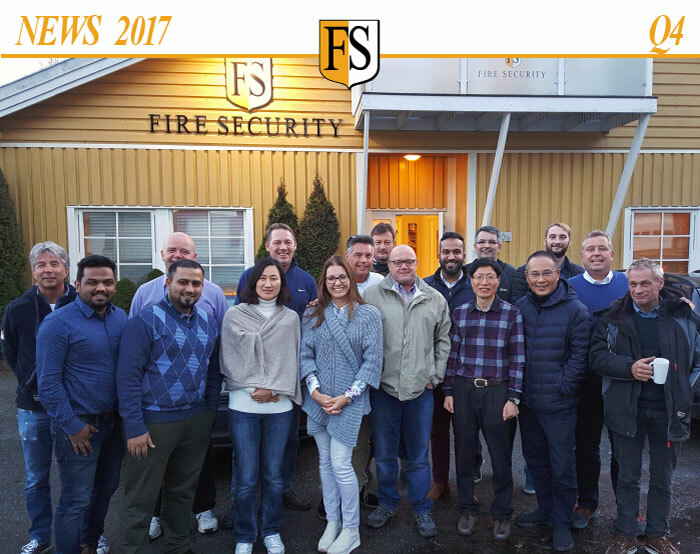 Earlier this year, the cruise ship was the first to dock at Kristiansand’s newly opened pier, located only minutes from Fire Security’s headquarters. Cruise projects in GERMANY, FRANCE, USA. SEPTEMBER 26: Two weeks ago Leif Harald and Terje Waage discussed new projects with Meyer Werft in Papenburg. Last week in France: New contract for fire protection on the world’s biggest cruise ship 2018. This week: Discussing new projects with RCCL in Miami. Application on LNG tanker in the Indian Ocean. 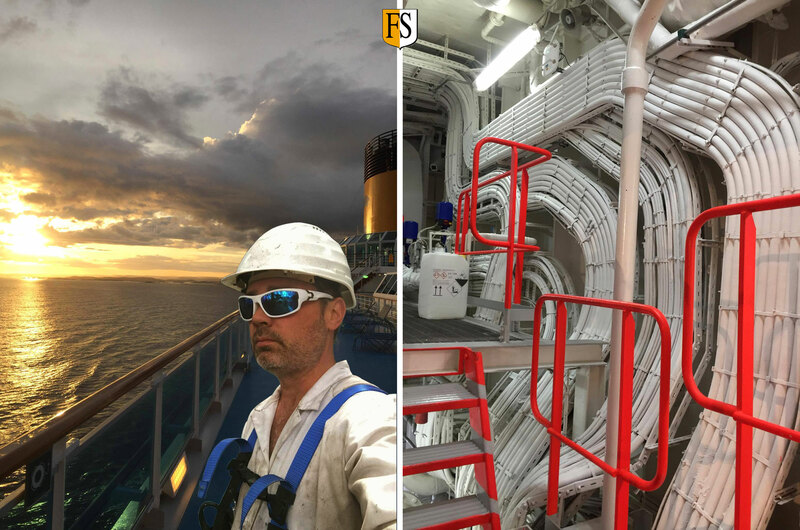 SEPTEMBER 25: Last week we coated cables in the generator rooms of the MOL LNG carrier Fraiha in the Indian Ocean. From left: Sulliman, Khurram, Paul Filby. FS in Japan to meet oil & gas companies. SEPTEMBER 13: We have been to Tokyo for meetings with MOL, Modec, Japex, Japan Drilling Company (JDC) and Inpex. Very inspiring trip in a new market for FS. Visiting CNOOC, China’s biggest oil & gas comp. 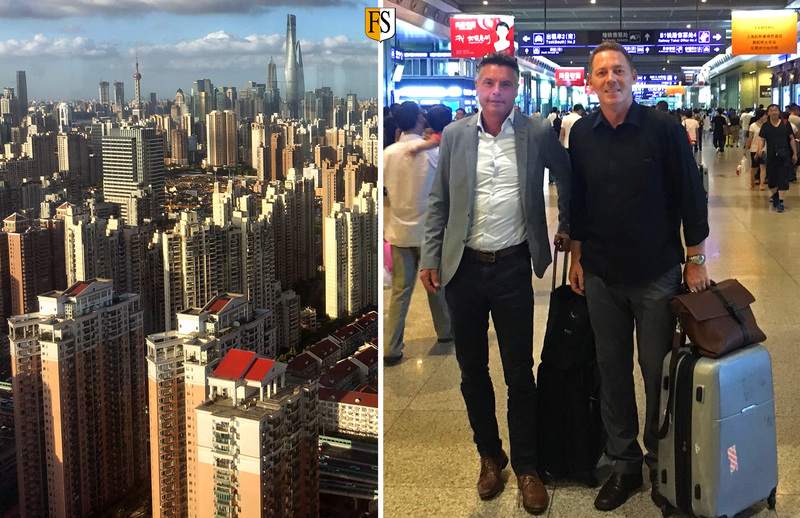 SEPTEMBER 2: Moving on to SHANGHAI. A great city and we are still walking the corridors of CNOOC, the the biggest oil & gas company in China. 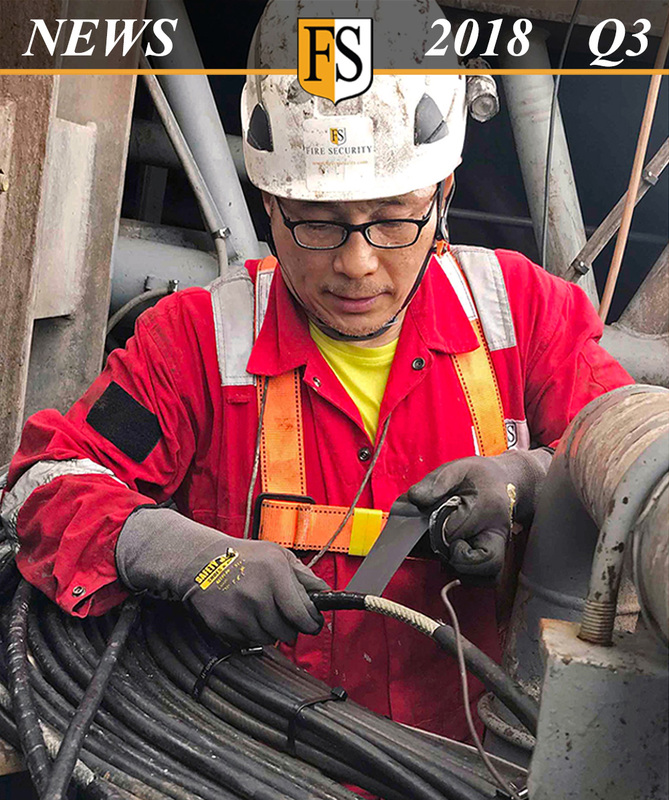 We have recently done cable life extension work on their offshore installations and are now in discussion to extend this work. 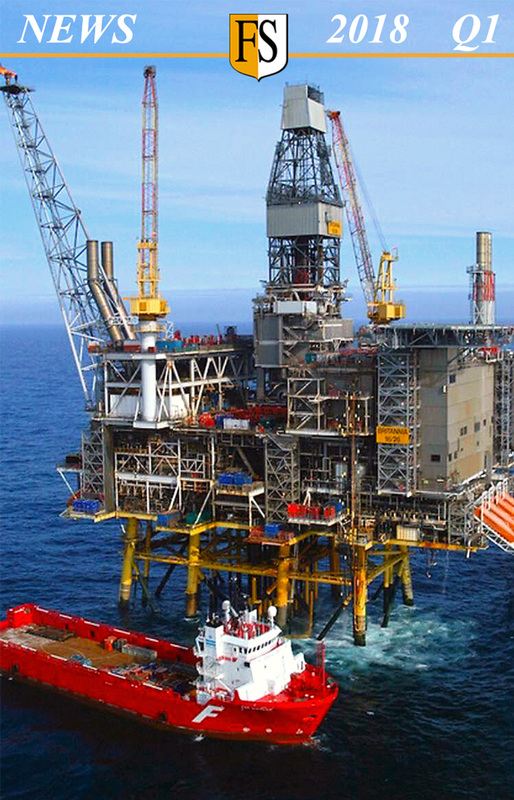 CNOOC have more than 200 offshore installations in China. 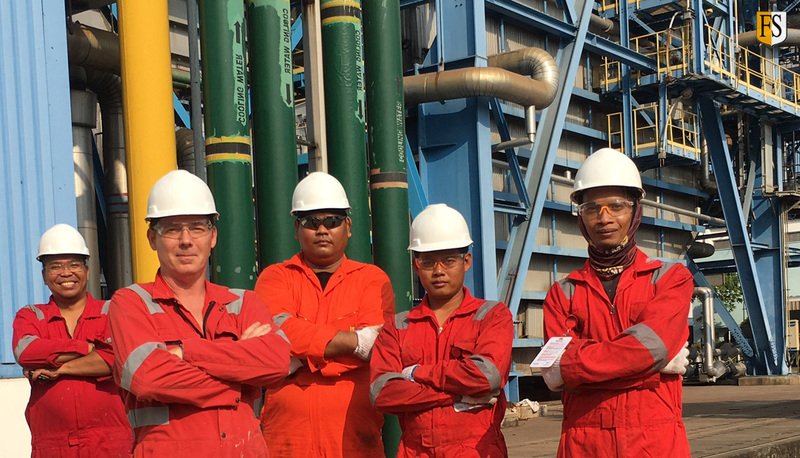 We have also done cable fire protection and life extension work on a number of installations for CNOOC in Indonesia. Protecting electrical cables at EGA – Emirates Global Aluminium in Abu Dhabi. 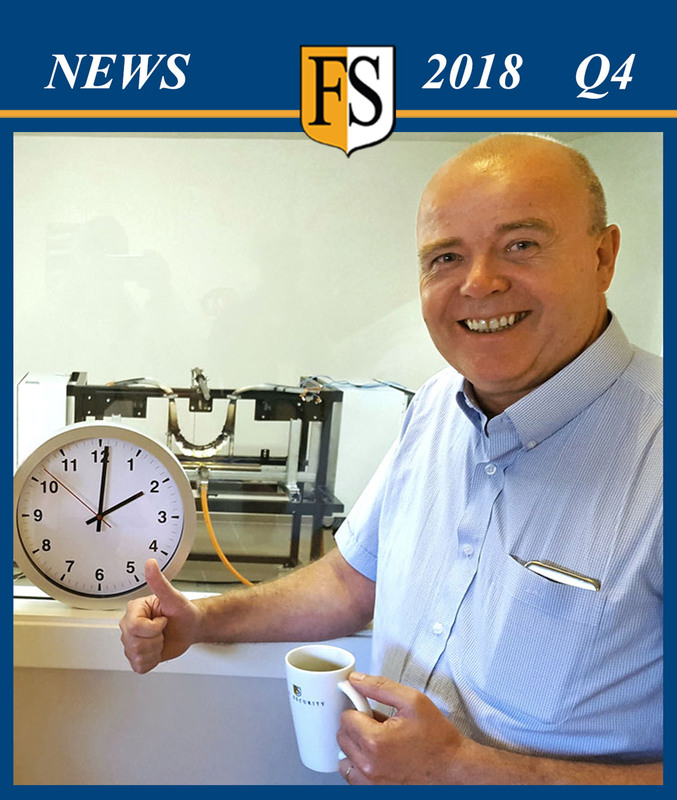 AUGUST 7: Earlier this year FS Middle East was chosen to fire protect electrical cables in some areas at EGA – Emirates Global Aluminium in Abu Dhabi. 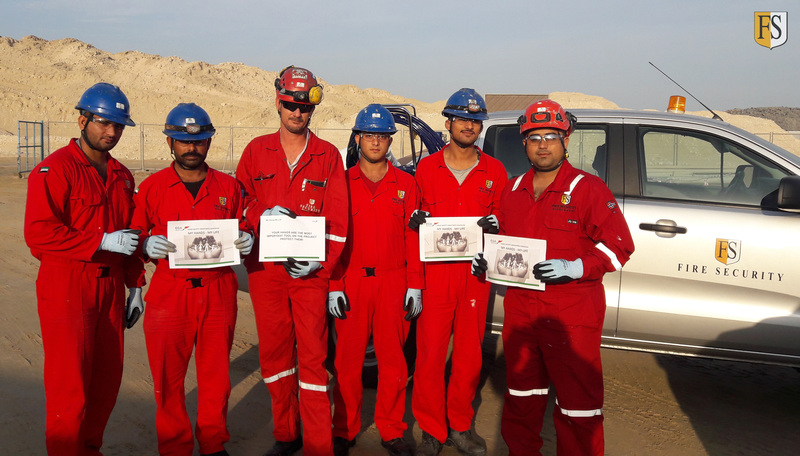 Here are some of our crew members, from left: Anique Shehzad – Applicator, Hafiz Tanveer – Applicator, Paul Filby – Project Manager, Muhammad Suleiman – Applicator, Muhammad Saad – Applicator, Khurram Tahir -Supervisor.